I feel like I have SO much to talk about. We all like lists, don’t we? I think I’m going to list out all my thoughts cause my brain is EXPLODING with everything I want to say! 1. How awesome is it that today is Wednesday? But feels like a Tuesday? I love this mind-trick. Just when I want to hate Tuesday, I all of a sudden love it cause it’s not really Tuesday! Every week should be 3 day weekends. It would make this mind-trick so glorious because it’d be REAL LIFE every week. 2. Okay so Labor Day has been over and done with. Anyone miss summer yet? No? I thought so. That bugger is still around and I’m praying it’ll cool down soon, or at least the humidity will subside. 3. Sooo, it’s September right? Or did something fall on my head so hard that I have been conked out and woke up to winter? Costco and every other craft store thinks it’s already NOVEMBER cause Christmas decorations and big blow & light up Santa’s and his reindeers are already on sale. Can’t we just enjoy what’s NOW and not 39485749 months away? 4. Please tell me you bought your $10 for $5 e-gift card for Starbucks on LivingSocial. Obviously this was pre-meditated cause why would they just so happen to have this awesome deal the day PSL & all the amazing seasonal drinks come back? It was pre-meditated AWESOMENESS. Salted caramel mocha is calling my name. It’s saying, “bring that $10 e-gift card here and spend it ALL on ME.” Yeah, my wallet is gonna have to get used to being empty this time of year. Starbucks has claimed its life, yet again. 5. I started doing this ab workout routine yesterday and I don’t know what lead me to believe that I wouldn’t be sore today. I should’ve known my months of inactivity would’ve lead to the ultimate soreness I’m feeling right now. Getting a hug from Jason and walking up the stairs and even LAUGHING is killing me. I’m so weak. So putting myself through this torturous hell will justify EVERY second of me stuffing my face with this pizza. Don’t worry – it’s pretty healthy. That crust you see, it’s CAULIFLOWER. I know, I should’ve already been on that train like 3 years ago but I’m slow. Using cauliflower to make crusts is life-changing and something I will definitely make again. Although, I will say, if you’re expecting something crispy, this is a far cry from that. It’s mushy but so unbelievably good. There is a cauliflower taste (hm, really, Julie?) so it’s not really masked by the toppings but you can’t go wrong with it. I mean, unless you have some thing against the taste of cauliflower, in that case, I don’t think you should try this and just stick to your regular crusts. Oh, can I mention that your whole house, after cooking the cauliflower, will smell like nasty man farts? And when you open your garage, your neighbors will look at you funny and think that you just let one out? It’s worth the fart smell though. Every stinkin’ second of it. 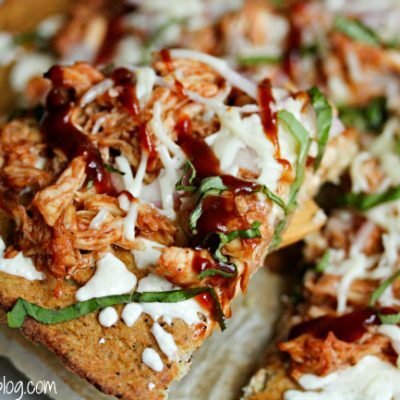 Make tonight pizza night and have BBQ chicken pizza with cauliflower crust - a delicious twist! Chop the cauliflower into medium-sized pieces and heat up your large skillet to high heat. Add the oil and place the cauliflower in the skillet and stir to cover with oil then place a lid on your skillet. You'll want the cauliflower to get a nice brown char on the outside but come back every now and then to turn it so it doesn't burn. Let the cauliflower cook, covered, for 20-25 minutes, or until tender. After cauliflower is done, let it cool down for about 5 minutes then put it in a large blender. Sprinkle the cornmeal on top, along with the eggs, Italian seasoning, cayenne pepper, and salt & pepper, to taste. Puree the cauliflower until you have a thick but smooth batter. Cover your pizza pan with parchment paper and pour the batter into the center of the paper. Spread out evenly until you have a 1/2 inch thick crust. Bake for 20 minutes or until the crust is a deep, golden brown. I like mine darker, so I actually let it bake for a lot longer. It's really up to you. While the crust is baking, prepare your chicken and toss it the BBQ sauce. Set aside. When crust is done, top with the chicken, mozzarella, and red onions. Place back in the oven to bake a little longer or until cheese melts. And I’ve never tried that cauliflower crust before! I’ve seen it a few times, but never have tried it for myself. Done deal. Gotta do it soon! Hahahha nasty man farts. Way to sell it Julie! I’ve been meaning to try cauliflower crust, just haven’t done it yet. But if the result is man farts? Sign me up, hehe!! I’ve been wanting to try this recipe! Thanks for the easy instructions! I still haven’t done the cauliflower crust thing!! I’m so glad you liked it, now I will for sure try it!! I love when you are bursting at the seems with so much to talk about! The lists crack me up! There are just no words for how awesome this sounds and looks!!! 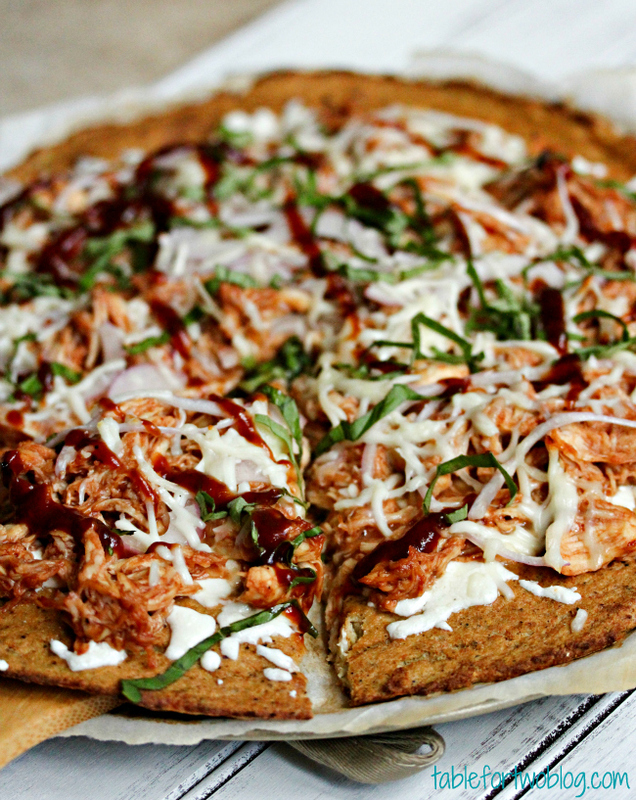 I love a cauliflower crust and I love BBQ pizza… just have never thought to combine! I’ve been dying to try cauliflower crust but haven’t yet… love your version! we need to come up with a crispy version! I agree – it has soo much promise but i love my crust to be a bit crispier. love your toppings here, too! I’m so praying for cooler weather and all things pumpkin for the fall. This pizza totally has me drooling. It looks scrumptious! Oh how i love pizzza. oh how i love it soooo. I’ve always wanted to try a cauliflower crust! And now I have to try it especially with that amazing pizza of yours! You’re not winning me over with the whole house of farts lol Sorry. BUT I’ll totally devour the topping mmmm one of my faaaavorite pizzas. And uh yeah – Tuesdays that are really Wednesdays are awesome but also scary because I’m totally behind on stuff. Can’t it be Tuesday? I need another day. No, seriously. hahah Veggies does smell bad sometimes..
Love that it is autumn, don’t love that stores are selling things 3 months ahead. I haven’t even seen Halloween items up yet and I’ve seen Christmas stuff! I read about cauliflower pizza crusts the other day and I must say I’m intrigued! yours looks gorgeous you wouldn’t guess it wasn’t a flour dough! This is so interesting with the cauliflower! 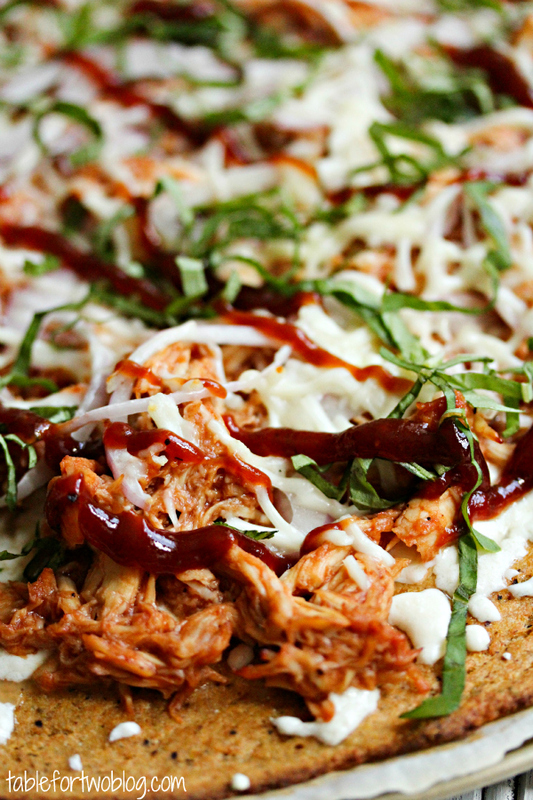 And bbq chicken pizza is one of my all-time favorite pizza flavors anyway! Ha, you said man farts. So I guess I am a little late to this party as well. I’ve done all the other sub cauliflower recipes, but I have never made pizza crust with it. So guess what? My house will be smelling of these man farts this weekend, because I am craving pizza. My pizza to do list has gone to cauliflower and gluten free. I have never had either, so wish me luck:). I kind of can’t believe that you did that cauliflower crust thing before me! haha I’ve been DYING to try this just haven’t really had the time to test it out yet. Now I must. PS- we can be in ab hell together today b/c yesterday at Crossfit we did a workout that involved 100 situps and then a bonus ab workout at the end that involved 3 minutes of planks, 60 russian twists and 60 mtn climbers. I.hurt. Looks looks amazing! I had to re-read the “The crust is cauliflower” because I couldn’t believe it. SO amazing. Holy moly this looks amazing! What a great combo with the cauliflower crust! Need. This. Stat! 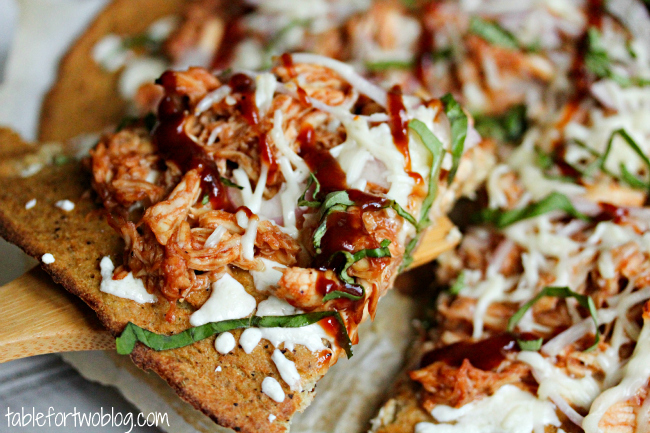 BBQ Chicken Pizza is one of my faves! 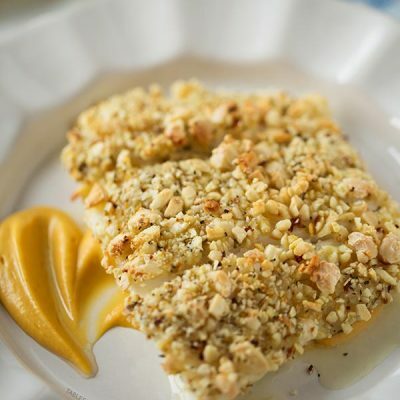 Totally going to trick my BF and make this with the cauliflower crust! 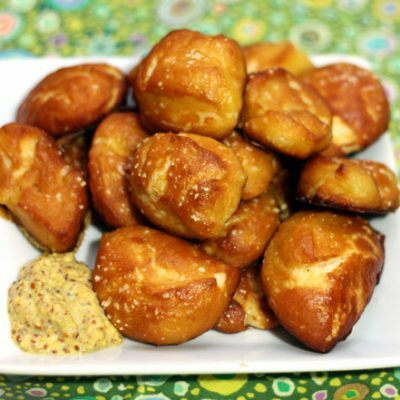 I tried this crust once with my family – it didn’t go over well. But the topping on a real crust for this would be awesome! I’ve been wanting to try a cauliflower pizza crust! This looks amazing! LOL…you’re so hilarious Julie! This post made me laugh so much & gave me a tasty pizza to try. Double win! Oh, I was all over that Starbucks deal!! This pizza looks so good!! What a cool idea for pizza crust! This pizza looks fantastic! Great job on starting a new ab workout… I’ve been saying it for months–I just need to do it! I can’t believe the crust is made from cauliflower…that is insanity! I don’t even care about this whole nasty-man-farts situation. I just need that bbq chicken pizza in my mouth-hole this instant! I need that ab workout just as much as I need a healthier pizza crust! Oh yes. I love cauliflower pizza crust! Oh, Julie – you’ve inspired me to make my own little list! 1: I LOVE a 4 day work week. LOVE. 2. Heck yes to that living social deal – and the cute girl in the ad covering her face with the coffee cup just happens to be one of my good friends! 3. )BBQ chicken pizza is my life. I eat about 3 slices a week. Making this. Wow. What an unloading! That felt good. I haven’t tried the cauliflower crust yet but this looks awesome! I have to give it a try. And I love a good BBQ pizza!